The Panasonic Lumix DMC-XS3 is a diminutive, ultra-slim digital compact camera featuring a 14.1 megapixel High Sensitivity MOS sensor, Full HD video recording, super fast autofocusing and a modest 5x optical zoom with a fast maximum aperture of f/2.8, all wrapped up in a thin, two-tone casing. Priced at £99, the Panasonic Lumix DMC-XS3 is available in red or black. As a photographer, it's easy to dismiss small digital compacts for larger, manual control cameras. What a lot of photographers tend to forget is that a small, discreet digital camera can be a crucial part of a day out. Many large events don't like photographers setting up tripods and large lenses as it gets in the way of other spectators wanting to enjoy the show. So if you leave all your equipment behind, you're left a phone or similar. Smart phones – while useful – have a shutter delay that see tectonic plates becoming impatient. A small, pocket sized digital compact is ideal for such situations. Slip it in your shirt pocket and you'll get a decent record of the day without lugging your gear around and annoying your family. Enter the Panasonic Lumix DMC-XS3. It's a tiny, slim digital compact camera that does everything for you. If you're new to the photography scene, you will also be pleased to know that it also has a feature called iA (Intelligent Auto). It's a feature that was pioneered by Panasonic and will analyse the scene that you're pointing the lens at. It then automatically selects the appropriate mode for the best possible photograph. For example, if it sees a person in the frame, it puts the camera into portrait mode, activates auto flash and switches on face detection. The XS3 sports a 14.1 megapixel MOS sensor. Panasonic say that it's a high sensitivity sensor for better image quality in low light situations. Our noise test will see exactly how well it copes with high ISO settings, but experience leads us to suggest that the most effective way of increasing sensitivity in low light is to increase the physical size of the sensor. That can't really happen unless you increase the size of the camera and the distance between the rear lens element and the film plane (where the sensor sits). Most digital cameras either use a CMOS or CCD sensor. CMOS (Complimentary Metal Oxide Semiconductor) are regarded as the fuel efficient sensors while CCD (Charge-Coupled Device) are heavier on battery power, but produce better pictures. Panasonic say that the MOS sensor takes those best attributes from both and combines them into one (supposedly) perfect sensor. So why hasn't the MOS sensor taken over from CCD or CMOS? The best thing to do for that answer is to look at the sample images and decide for yourself if you think they're better. As you've probably gathered by now, the Panasonic Lumix DMC-XS3 is incredibly slim. It's by no means the thinnest camera available, but considering it has a 5x optical zoom on it, it's not doing too badly at all. The lens does have to stick out of the front by around five or six millimetres. It's not detrimental to the camera design, portability or appeal, though. The clean lines of the two-tone silver/black or silver/red colouring are complimented by the minimalist buttons on the top of the camera. Simple chrome buttons are used for powering the camera on/off and for taking a picture. The latter being bigger and having no signage to explain its function. The back of the camera is typical of any other digital compact camera with a screen to the left of the space and the function buttons lined down the right side. Because of the thinness of the camera, the zoom has to be a rocker type that is found on the back towards the top. Despite the smaller area, the camera still has a dedicated video record button, navigation pad and three menu buttons. The three menu buttons are for changing various features. The Mode button brings up five icons that allow you to change the mode of the camera such as Intelligent Auto (iA), Auto, Creative control, Panoramic and Scene modes. Down at the bottom of the camera, there's a Q.Menu button which triples up as the delete button in playback and the “back on move” button when in the menus, which is useful if you go into a sub-menu and you don't want to make any changes. The Q.Menu brings up a few options for shooting such as resolution, ISO, white-balance, metering and continuous shooting. In Auto mode, there's also a setting for the video quality. The Main menu is more extensive and pressing the button (located in the centre of the navigation pad) initially brings up three sub-menus. They're split into three important areas: Recording, Video and Set-up. Recording is like a more advanced, in-depth version of the Q.Menu. It covers the same features as the Q.Menu but also areas such as focus modes, iExposure (a basic dynamic range booster), digital zoom, burst and colour modes among other things. The Video section has only two options for the video recording quality and whether you want continuous AF to be on or off. Arguably, these two options could be put into the Recording section without too much fuss or confusion at the user end. Finally, the Set-up menu will change more in-depth features such as the clock, world time and volume. Interestingly, there's a Guide line available in here which will superimpose a rule of thirds grid over the screen to aid in composition. There's also – and this is the really interesting bit - a histogram. This chart comes up on the screen and looks like a graph. It measures the light falling on the sensor and tells you whether the picture will be under or over exposed. This kind of feature isn't normally found on a simple point and shooter, so why have Panasonic placed it on the XS3? 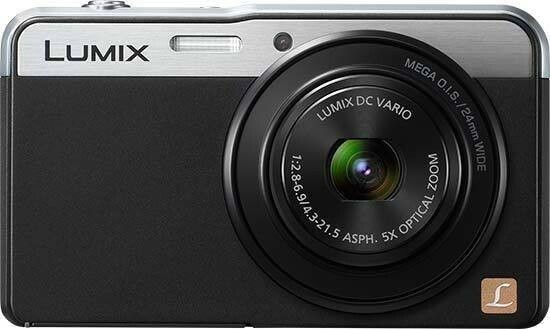 Start up time of the Panasonic Lumix DMC-XS3 from cold is fast at 1.5sec. However, recently more cameras are coming through with this kind of speed which shows a progression in technology. There are four burst modes on the XS3. Two of which incorporate continuous AF in order to target moving subjects easier. The camera will use focus prediction technology in this mode which analyses where the subject is coming from and its current trajectory. It then works out where the subject will be while you take photographs and sets the camera up to focus on those points in advance. This pre-programming means that the camera can increase the frame rate because it doesn't have to worry about focusing. There's a 2fps (frames per second) and a 4.7fps option. Why two? Well, the camera is only guessing where the subject will be while you shoot. The faster you go, the more room for error because the camera can't make any corrections. In the normal continuous mode, the Panasonic Lumix DMC-XS3 shot 58 photos in 6.5sec. That sounds impressive except it drops the resolution to a paltry 3 megapixel. The sad part is there's no burst mode at full resolution available. It's low res or nothing at all unless you use the focus prediction options. So if you want full size burst modes, you have to be ok with a margin of error for the focus to be out. Standard practice these days is that if you want to look at the pictures you've taken without switching the camera on, it's possible by holding down the playback button. That way, the lens isn't coming out unnecessarily. The Panasonic Lumix DMC-XS3 doesn't have this provision, which is unusual. Once you switch over to playback, it's a matter of seconds before the lens pops in, so it's not too much of a problem, we're just surprised by it. You can scroll through display options using the DISP button which also brings up a histogram. Pressing up on the navigation pad will enter into the Retouch menu. There's Auto, Beauty and Creative retouch options to choose from. The Auto will do what it thinks is right to make the picture prettier (impossible with ours). The Beauty Retouch mode is better for portraits and the Creative Retouch allows you to add the Creative styles if you decide you want them after you've taken the picture. The Playback menu has some basic editing options such as resizing, cropping and video divide. You can set pictures as favourites, protect them and copy them if you wish. Inside the tiny box, you will get a camera, lithium ion battery, AC adapter and USB cable which doubles as the cable from the bAC adapter to the camera. You also get a wrist strap and operating instructions.